Plant City drivers know an all-wheel drive vehicle is better equipped to handle the road and weather conditions, and choosing a pre-owned all-wheel drive SUV means you get the performance you need at the price you can afford. 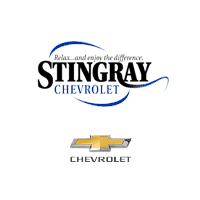 At Stingray Chevrolet, we have an impressive inventory of pre-owned all-wheel drive SUVs, including Hyundai Santa Fe, Ford Explorer, Honda CR-V, and of course the Chevrolet Equinox and popular Chevrolet Traverse. Having an all-wheel drive SUV lets you do more on your trip, whether you’re commuting or taking a %%target_cities_1%% or %%target_cities_2%% weekend getaway. Stingray Chevrolet has a nice selection of pre-owned models to choose from, so head to our dealership today to apply for financing. In addition, we have a great trade-in program, so you can upgrade to a pre-owned all-wheel drive SUV today.